This past June, Alli and I traveled to Hawaii. We had always wanted to go, and this was a double celebration: both our five-year anniversary and Alli’s graduation from the Harvard Kennedy School. I’m not going to recap every single event or activity here. That would take too long and be too boring, even for me 😉 But I want to capture the highlights for future reference and for several interested people. We flew with US Airways via Phoenix, which splits the flight about in half. That worked out very well. No flight troubles at all. On one leg we were even upgraded to Business Class which was nice, but not amazing. We started in Oahu. We rented a car, which was also necessary on Maui, as public transportation is slim or none. We checked in to our hotel, the Halekulani. The hotel was great the whole way: excellent service, great location, great food, great room. Really nothing to complain about, which is good, because it was very expensive. We had breakfast at one of the hotel restaurants, House without a Key, most mornings, and it was awesome. Also while in Oahu, we hiked up Diamond Head, which was awesome and highly-recommended. We drove to the North Shore, swam a bit, and saw the waves at Pipeline, Banzai, and Waimea, all legendary places I’d always wanted to check out. Pearl Harbor both emotional and really interesting. I really liked the USS Bowfin submarine tour, seeing the equipment setup and cabin sizes, etc. 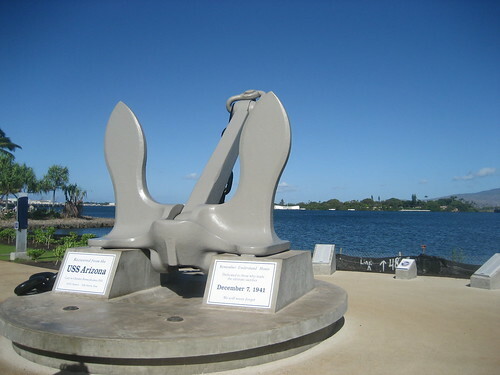 Although we’re not big history buffs, Pearl Harbor is such a famous place with so many stories that it was fascinating to see the real thing. Dinner at Alan Wong‘s was OK, but not amazing (again). The food was fresh and well-prepared, but I found it lacking inspiration. Nothing that made you go “wow!” or want to come back. At least not among the dishes we had. Both the service and (especially) the wine list were just OK — nothing to write home about. We also did some walking around Honolulu (not bad), some shopping (way over-priced, except beach wear which was great), and Alli took surfing lessons at Waikiki (amazing). Next up: Maui and Kauai.